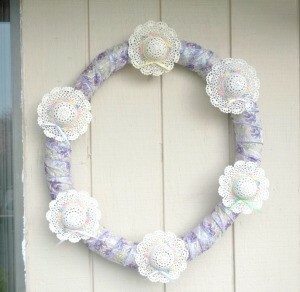 Making your own seasonal wreaths is not only fun, but your creation will be unique and express your style. You may also save some money over buying a pre-made one. 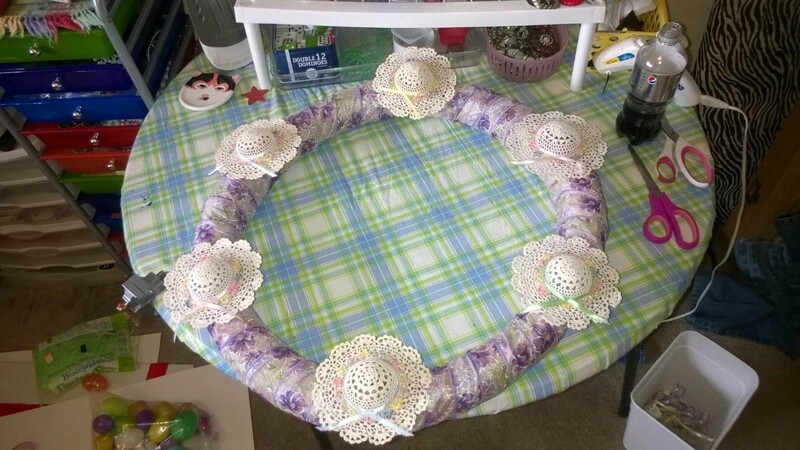 This is a guide about making a mini hat spring wreath. 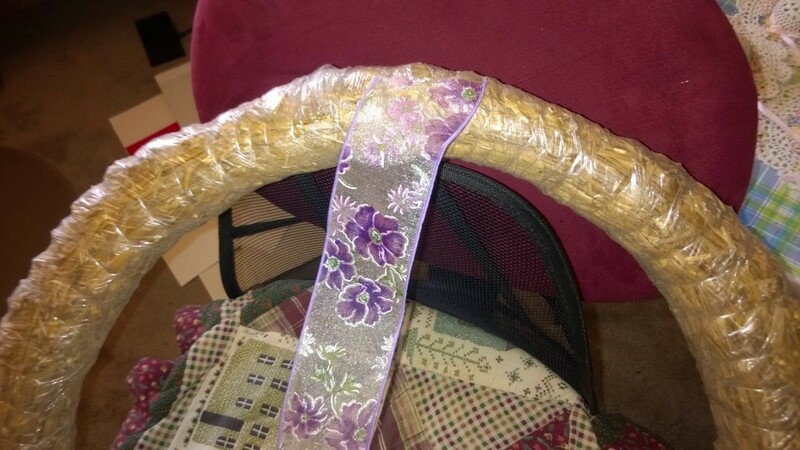 I don't usually buy straw wreath forms, but I wanted something cheap and big. This will have to be seen from my parking lot so it had to be big. This was time intensive, but the results were very satisfying. I got one hat off just a bit, but I am still pretty pleased. Wrap your wreath with the wired ribbon and glue every 6 or so wraps. 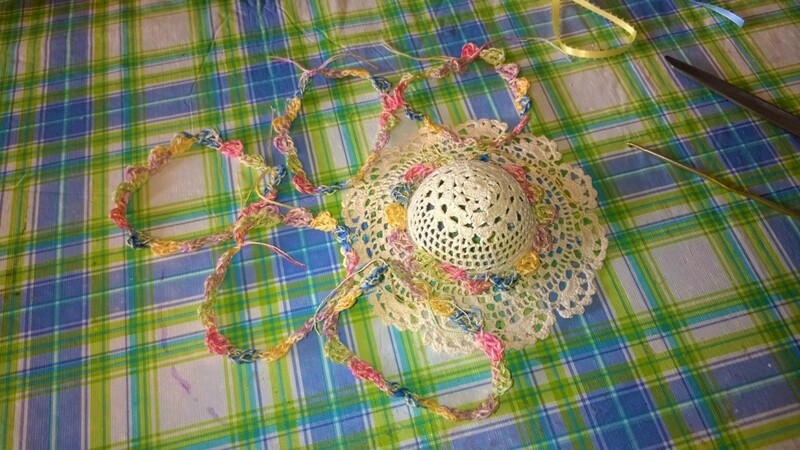 With the mini hats, leave a 2" tail and make a scalloped edge with this pattern: Chain 3 and make 2 double crochets in the first chain from hook. Make 14 more for a total of 15 and break off with enough tail to make a double knot where the scallop began. Make one for each hat. 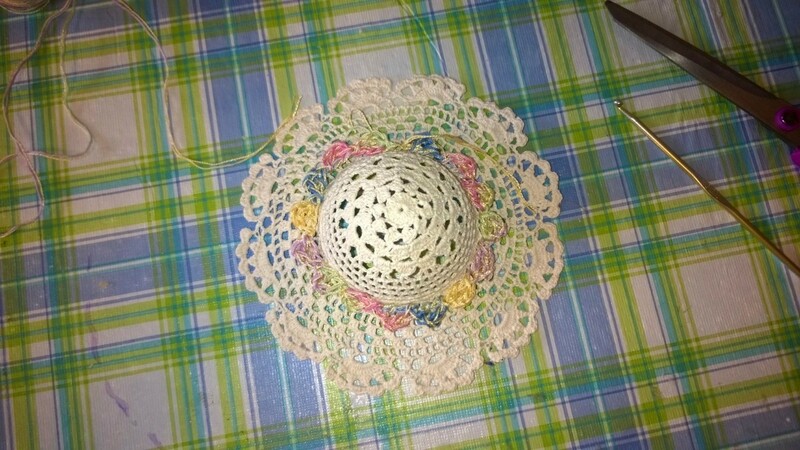 Using your glue gun, set the circle on the hat and with minimal glue, glue down each scallop. If you trim the tails close no one will see them. Do this with each hat. 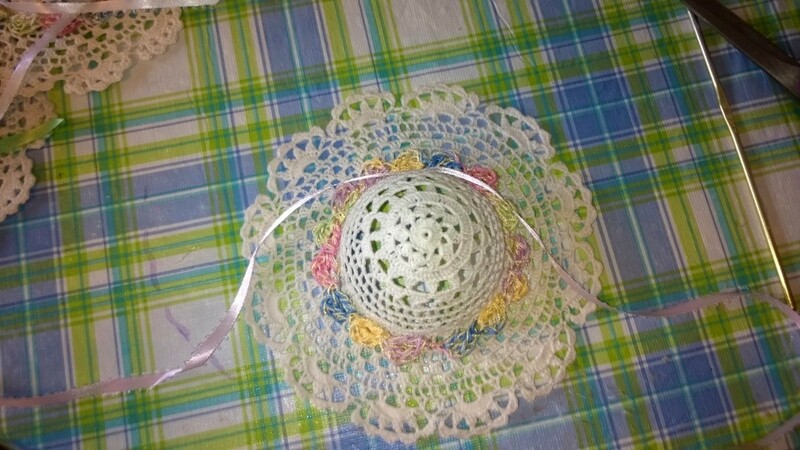 I chose the same colored thread as it had most of the colors I was using for ribbon because I didn't have enough thread to match each color. 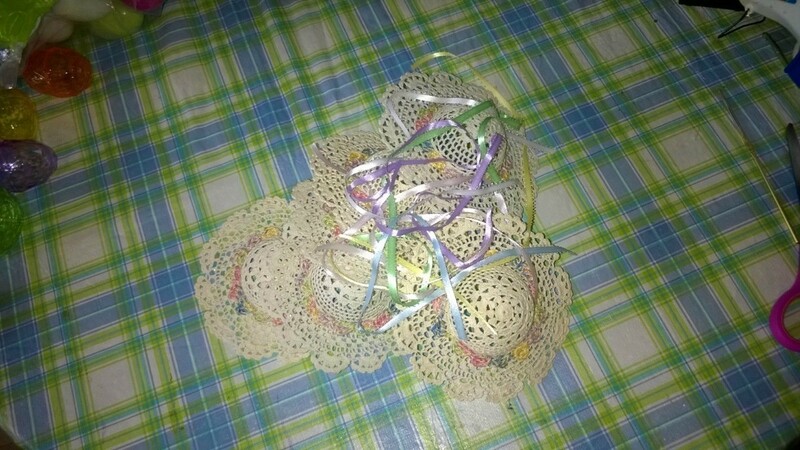 I then took each color of ribbon, and finding the middle of the ribbon, spot glued it to the hat. Don't worry about where you start as long as you end in the opposite spot to cross over your ribbon. Trim them at an angle and you are good. Setting each hat where it needs to go, like cutting a pie, glue on. Be careful as the hat will have holes and you can get 2nd degree burns from oozing glue. Also, be careful where you set them as I got one off just a bit so don't make that mistake. 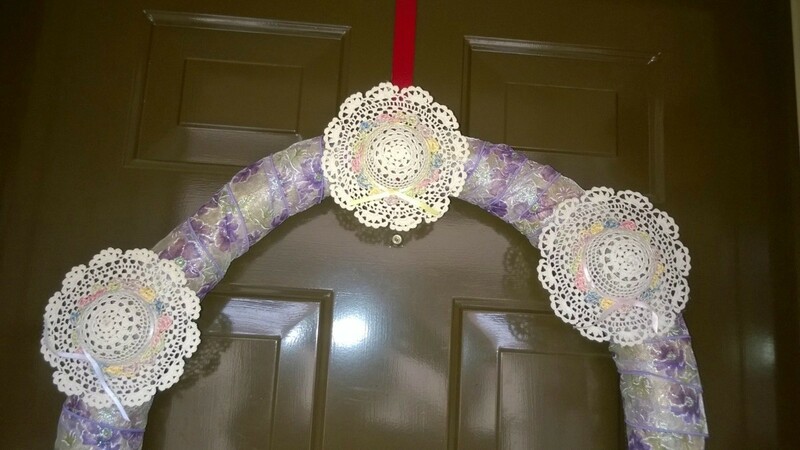 Your wreath is ready to hang. N-JOY!! Sandi, you have outdone yourself! 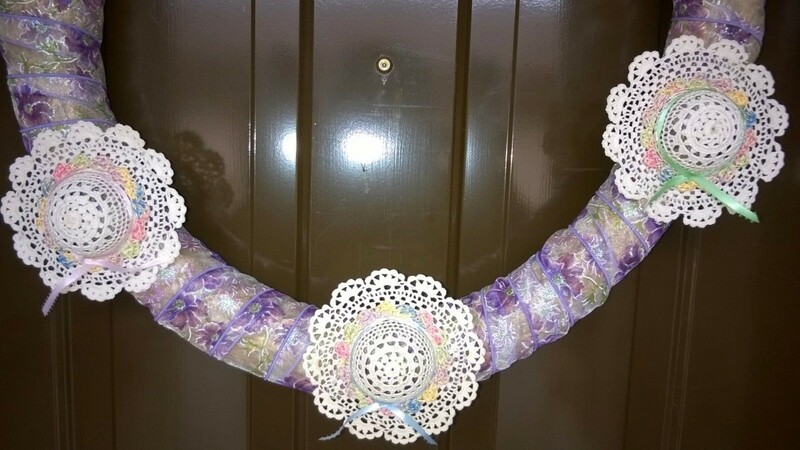 Time intensive, but the result is well worth it.. This looks like a good project for some ladies I know. Thanks. I know everyone will enjoy seeing such a fresh Spring greeting. Thanks Betty! I hope your ladies have fun!! I will let you know. We have already completed one or two of your projects. They like thing that can be done in parts and completed together.